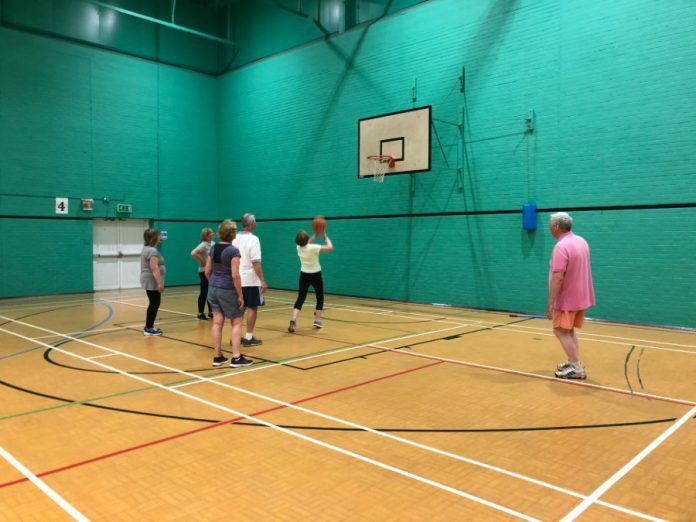 Local volunteer and ex-England Basketball player is giving his time to get people active by setting up a walking basketball session at Poynton Leisure Centre. Dave Morgan, a local resident of Poynton, has been involved in sports in the Cheshire area for the past 50 years and is very enthusiastic about getting people playing sport – just to have fun! Everybody Sport and Recreation have ran similar sessions including Walking football and netball which have been extremely successful. We aim to provide something for everyone and would love to see the local Poynton community come down for a game! Walking basketball is aimed at those 50+, and is perfect for someone recovering from injury or illness who is looking to be active, meet new people, or just get out of the house to do something fun. Come down to Poynton leisure centre for a game of walking Basketball. Everybody are proud to provide leisure to all, and want to try and get everyone in the local community active and enjoying exercise. We would love if you could feature some information about these sessions in the Poynton post so we can let all the Poynton residents know what’s on offer!